Singapore is a small island city-state located in Southeast Asia, just off the southern tip of Malaysia (near Indonesia and Australia). It spent the first half of the 20th century as a British colony, but gained its independence and became the Republic of Singapore in 1965. Singapore's current population is around 5 million people. 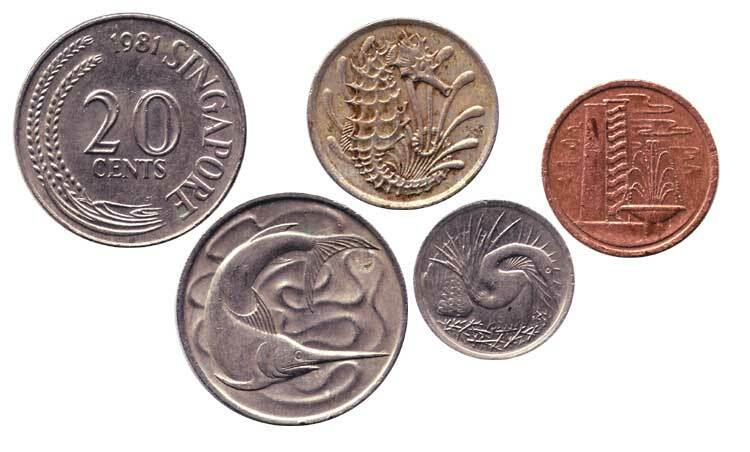 Singapore issued its first independent coins in 1967. 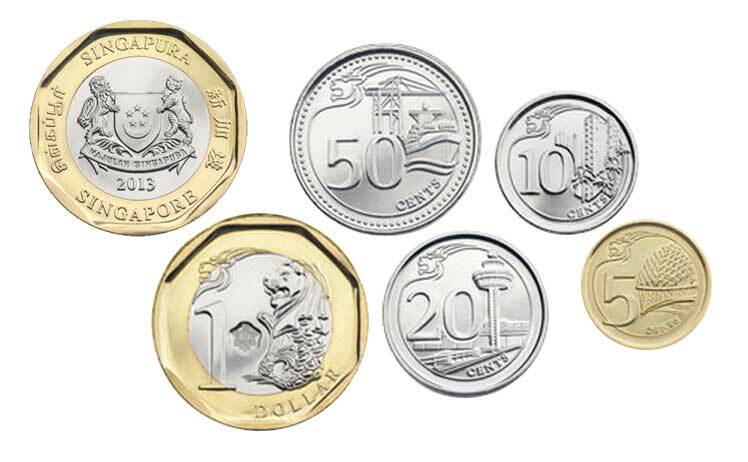 These coins, known as the "first" or "marine series", primarily featured images of marine life local to Singapore (including a lionfish, seahorse, and swordfish). Neighboring Australia and New Zealand had both started using coins with similar designs featuring important or well-known local fauna only a year prior (1966). 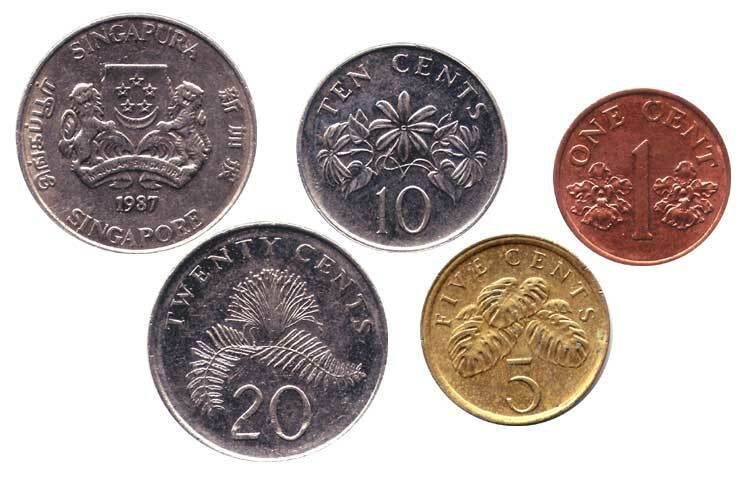 And the Cayman Islands' first coins, issued in 1972, are again quite similar. 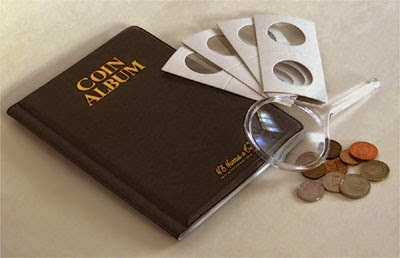 In 1985, a new series of coins was released. This second, or "floral", series (in use through 2012) included a redesign of the reverse to include the Singapore coat-of-arms and "Singapore" in the country's 4 official languages - English, Malay, Mandarin (Chinese), and Tamil. The obverses contain images of local plant life, including the Vanda Miss Joaquim orchid (Singapore's national flower), Star Jasmine, and the Yellow Allamanda. For collectors, the new series is a welcome addition to the coins of Southeast Asia. We look forward both to adding this new set to our collections, and making sure to fill in any holes we might have from the first and second series coins.